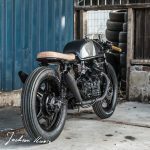 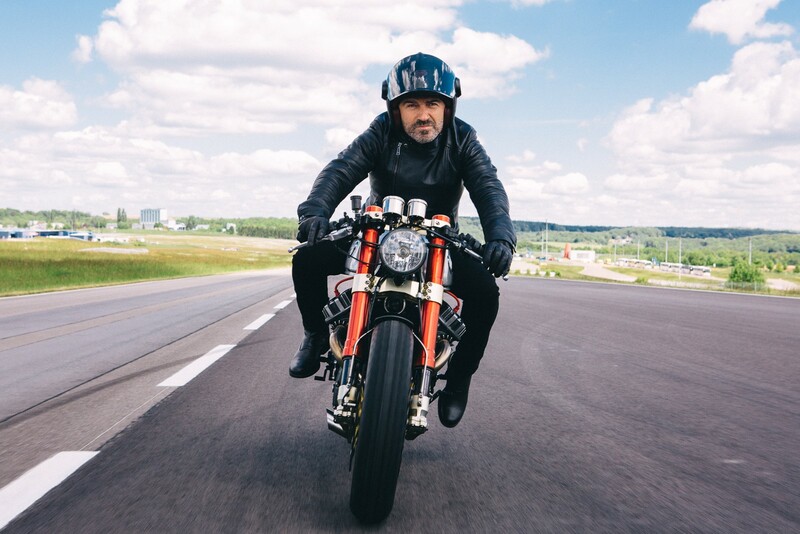 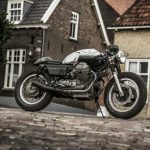 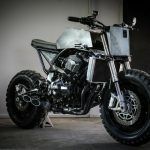 UPDATE: due to the huge success of Sacha’s CX500 Café Racer, they’ve decided to build a small number of limited “copies” of this awesome bike. 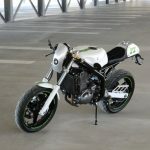 Under the label of Blacktrack Motors Sacha and his team are building 25 copies of the so called BT-01 and offer 2 models: 5 Race Editions and 20 Sport Editions. 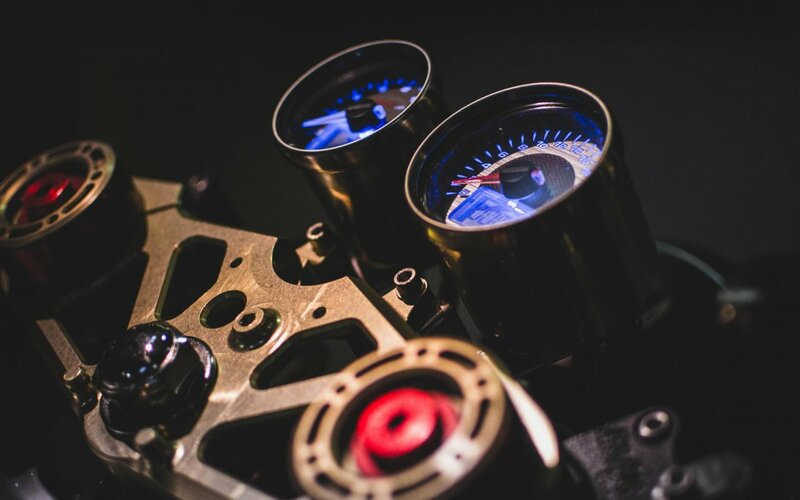 The Sport Edition is priced at €35.000,- and the more exclusive Race Edition will go to a new owner for €55.000,-. 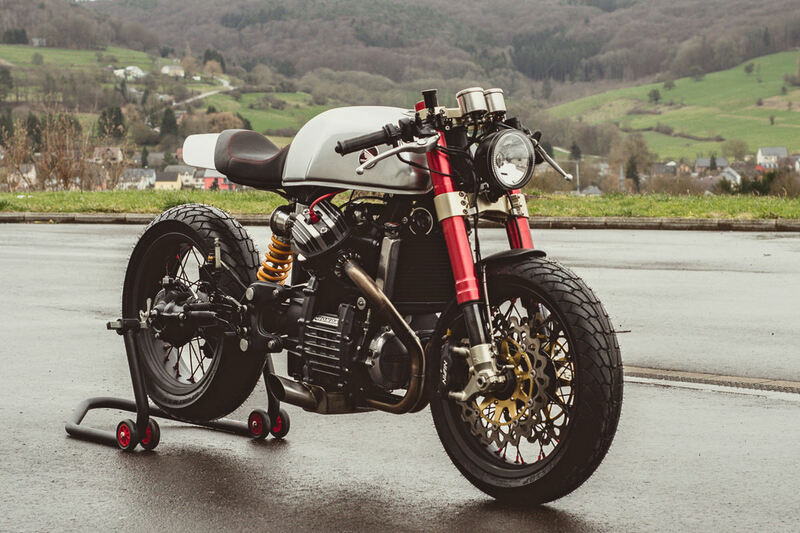 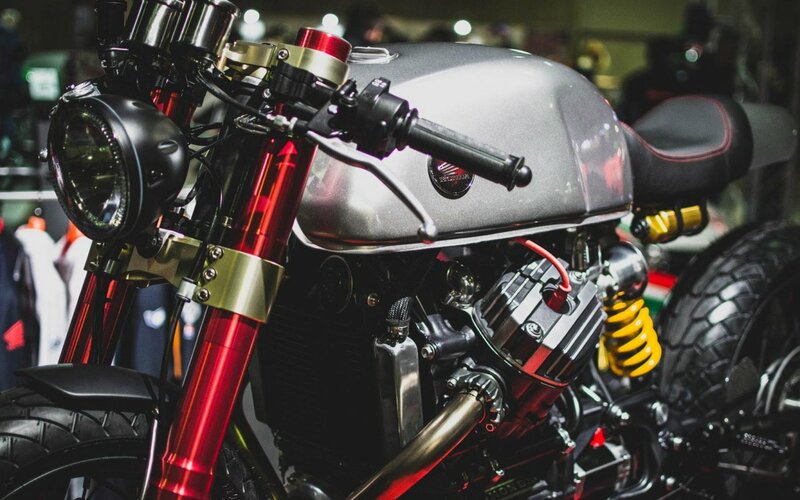 Universal art designer Sacha Lakic has created one of the most beautiful CX500 Café Racers ever. 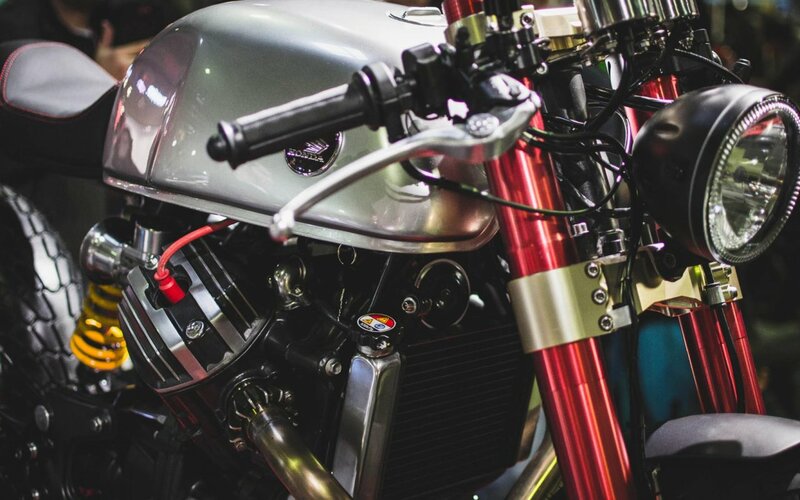 A cool classic meets aggressive look and only the best parts used. 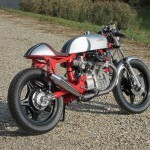 The full list of mods en specs can be found under the photo’s. 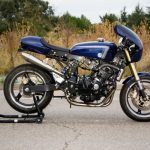 He did a crazy great job, straitening out the weird line of the stock CX500, using a red Marzocchi RAC fork in combination with a Öhlins rear shock from a Ducati 851 and a custom made swing arm. 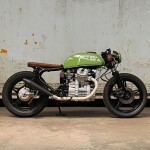 There is not much left of the original CX500 since literally every single part has been thought out and taken care of. 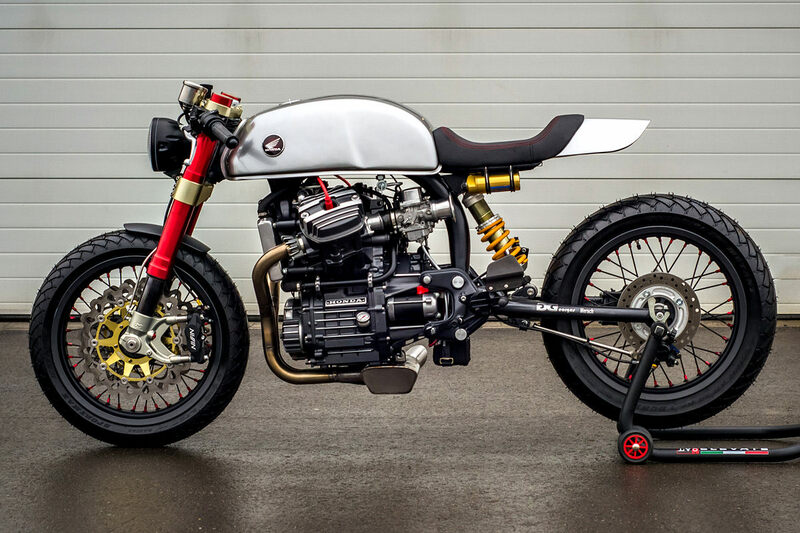 It’s a real “one of” bike, stuffed with custom and tailor made parts. 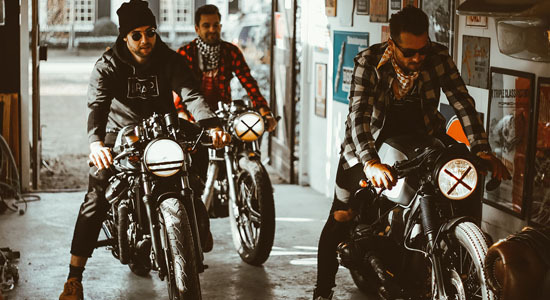 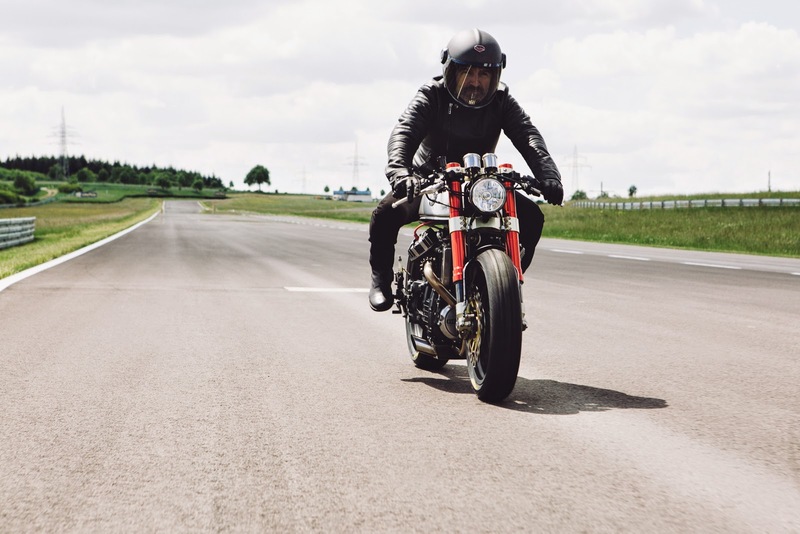 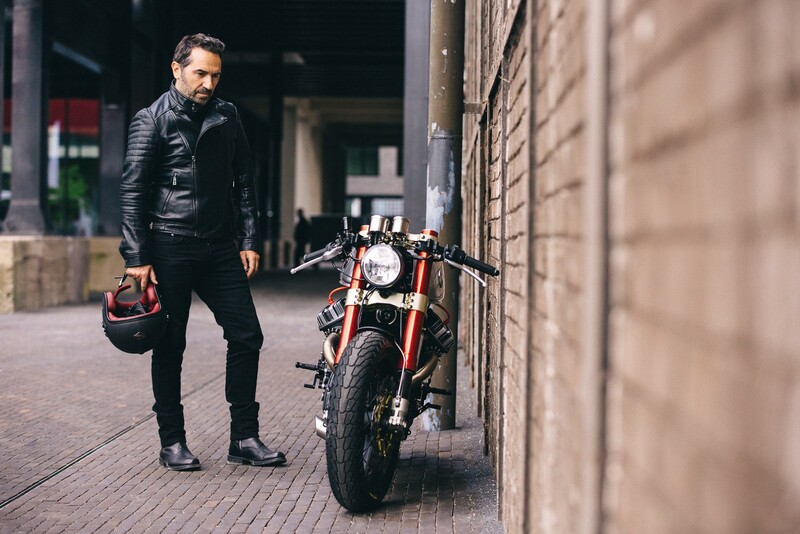 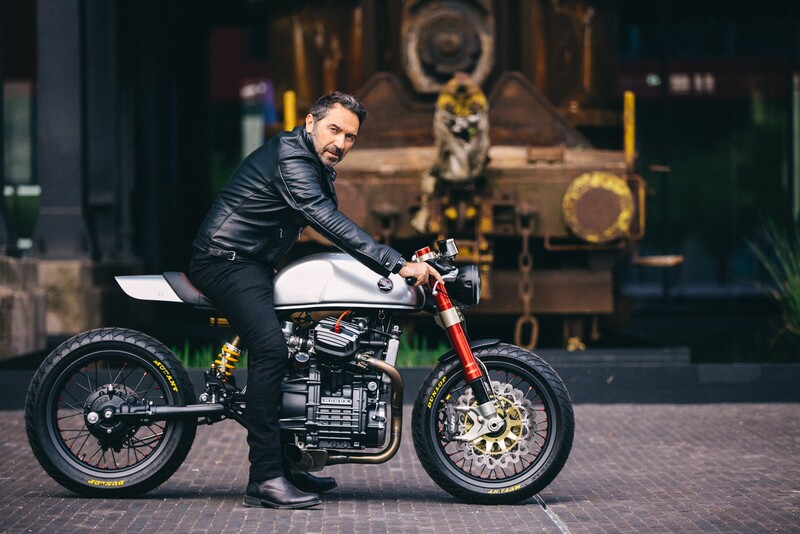 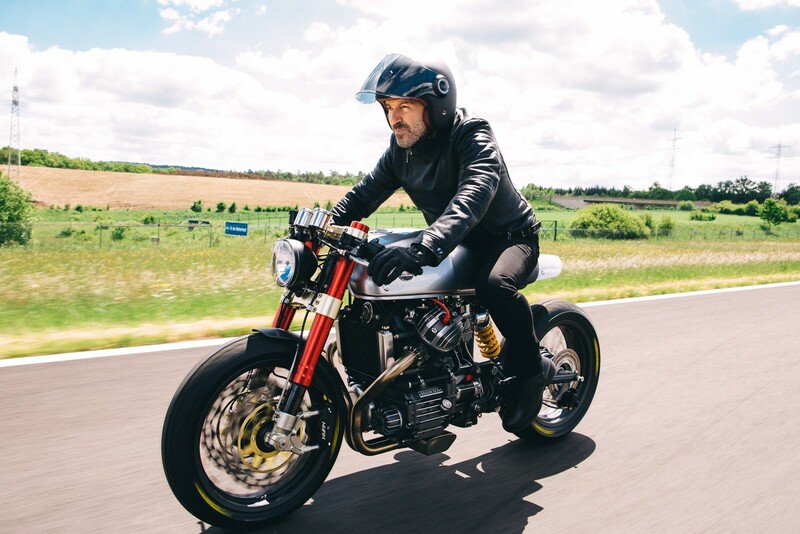 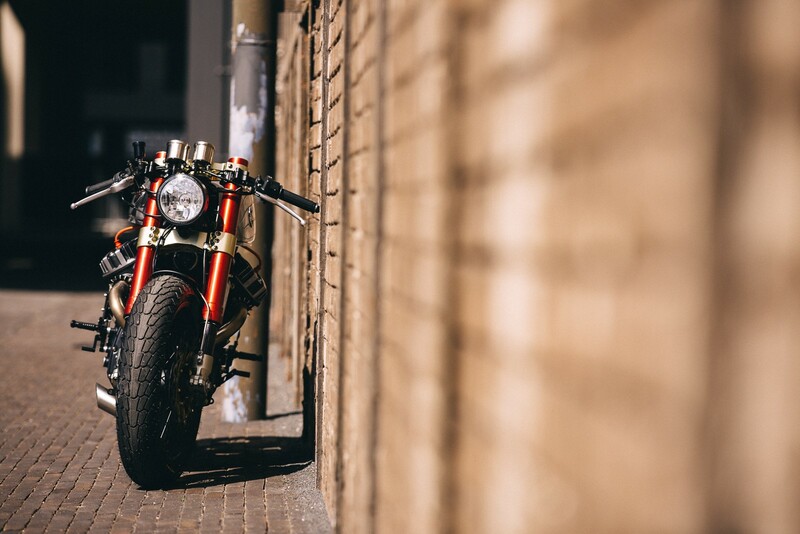 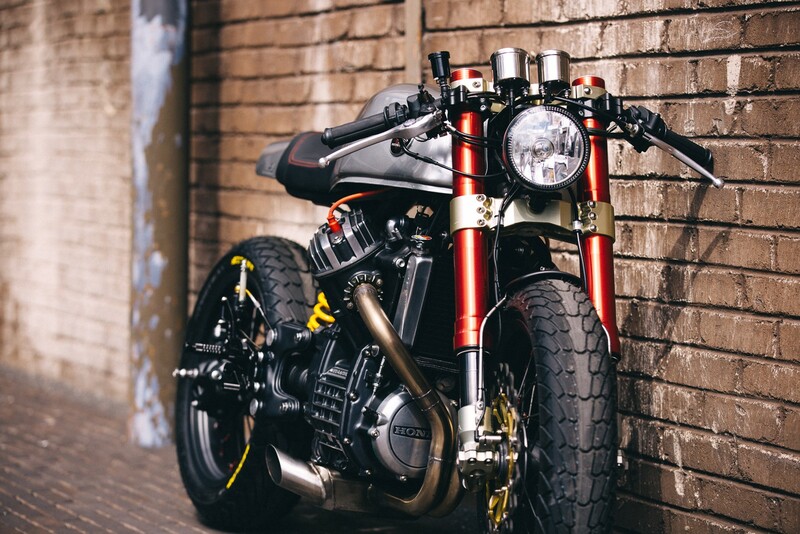 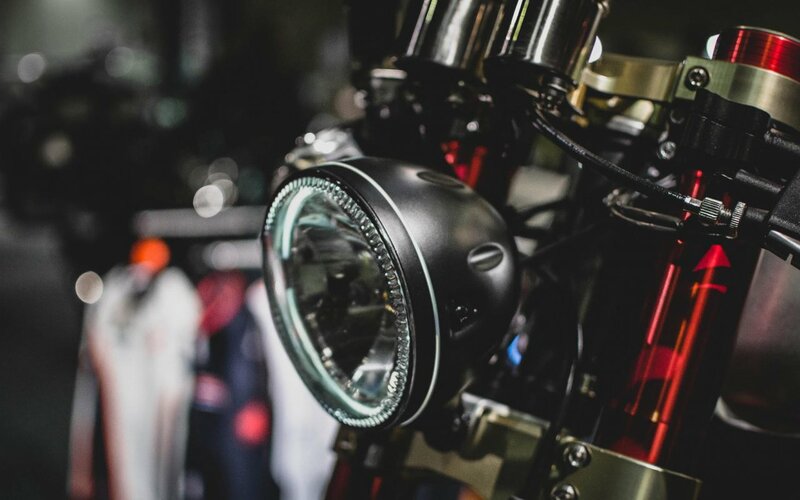 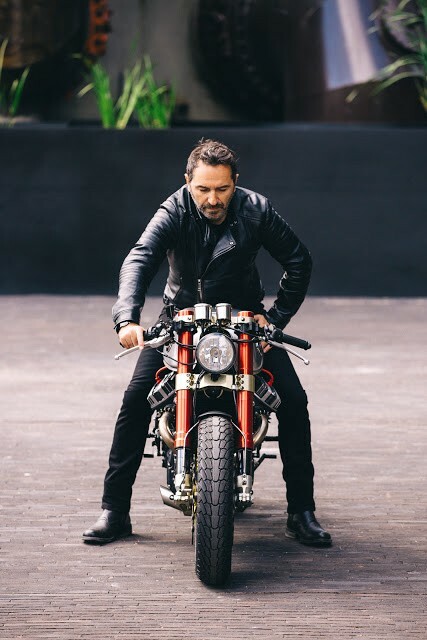 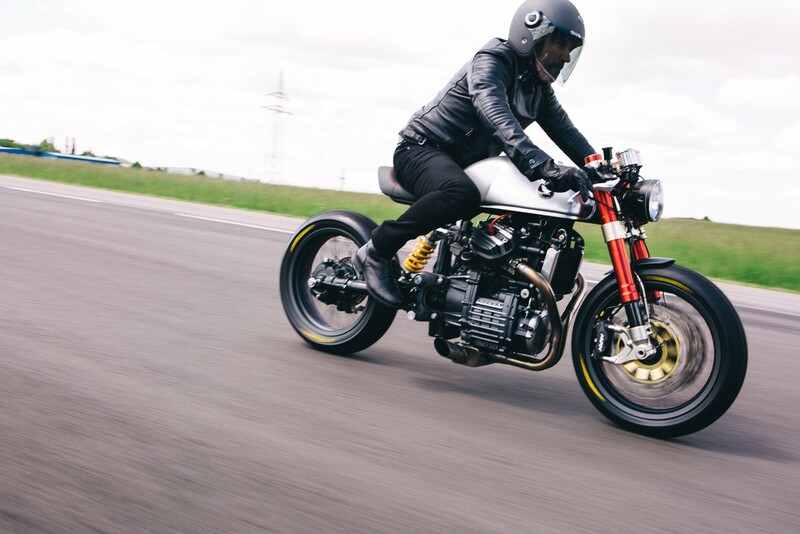 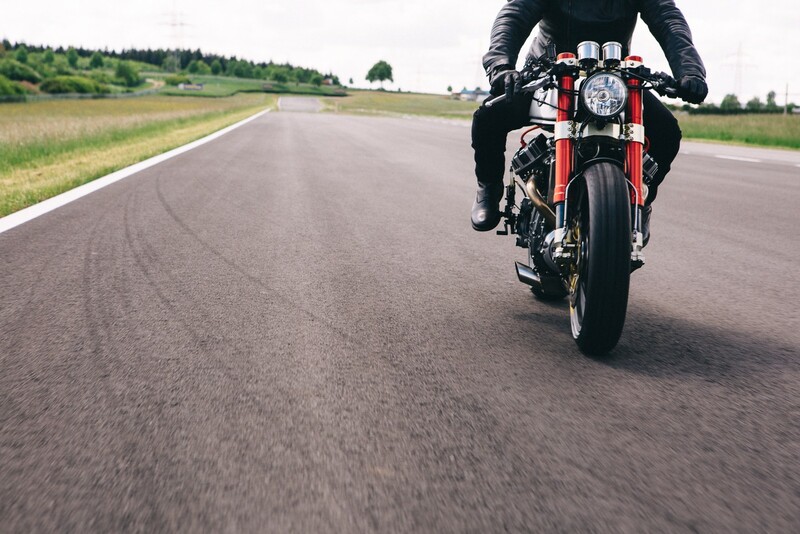 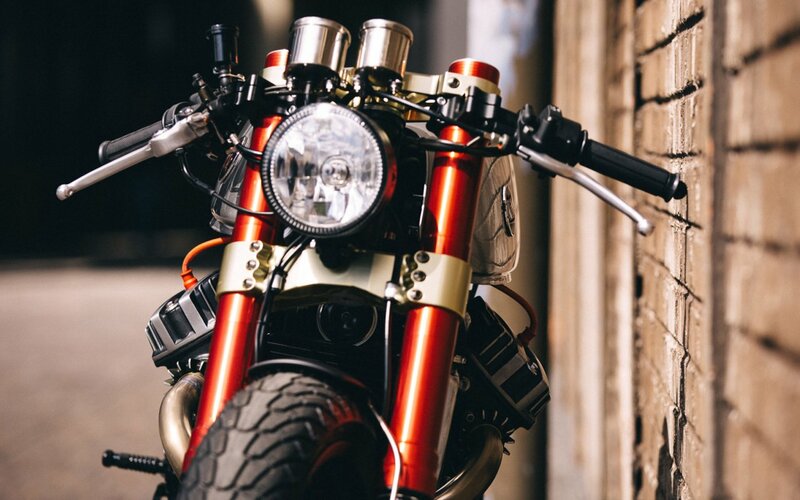 It’s official: Sacha Lakic’s CX500 is chosen to be the best custom motorcycle of 2015!